The Westside is finally getting its fill of banh mi, a delectable Vietnamese sandwich made of spicy meats, pickled veg, a fresh topping of cilantro and more hot chilies stuffed into a pillowy soft baguette, and now Venice has its first dedicated Banh Mi shop open at the corner of Lincoln and Rose. There are 10 sandwiches on the menu, including the Wake Mi (fried egg, chili mayo and spicy veggies), the Oink Mi (caramelized pork belly, caramelized shallots and garlic, with pate spread), and the super scorching Cluck Mi (turmeric chicken with mortar-pounded chili paste, galangal, chilies and chili mayo . For sides, there are savory coconut pancakes, fresh spring rolls, crispy spring rolls and tapioca pudding with cassava and banana for dessert. 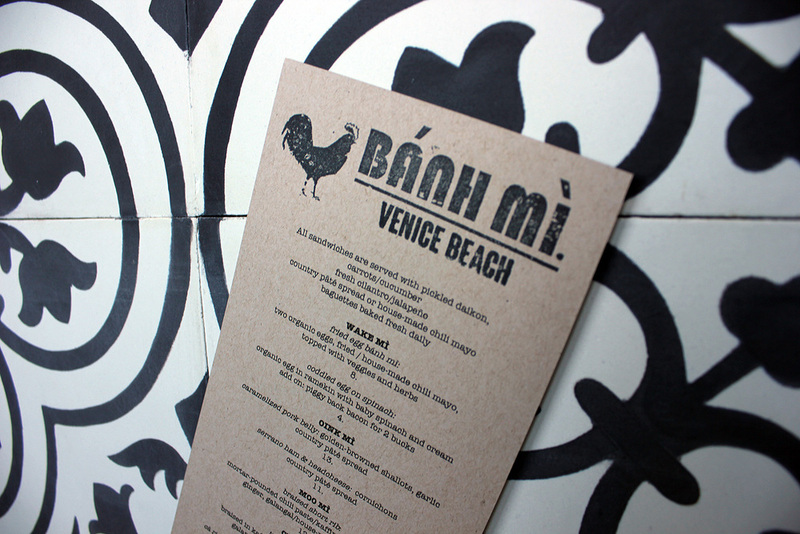 Bringing banh mi to Venice has been a dream/goal for local owner Heidi Huynh. Almost a year ago exactly she started to put plans in motion with her sister and chef Francie Friesth and partner Oscar Hermosillo (Cerveteca, Venice Beach Wines, and the soon-to-come Sunset Roadhouse). As soon as the opportunity opened up at the Rose Center, it was a done deal. Banh Mi is the first of several newcomers due to debut in the Rose Center, which is undergoing a total overhaul at the moment. The Food Mart, Wendy's Donuts, and Muscle Max have moved out. Banh Mi takes the place of Wendy's and there's no word yet on who else is taking the available spaces.